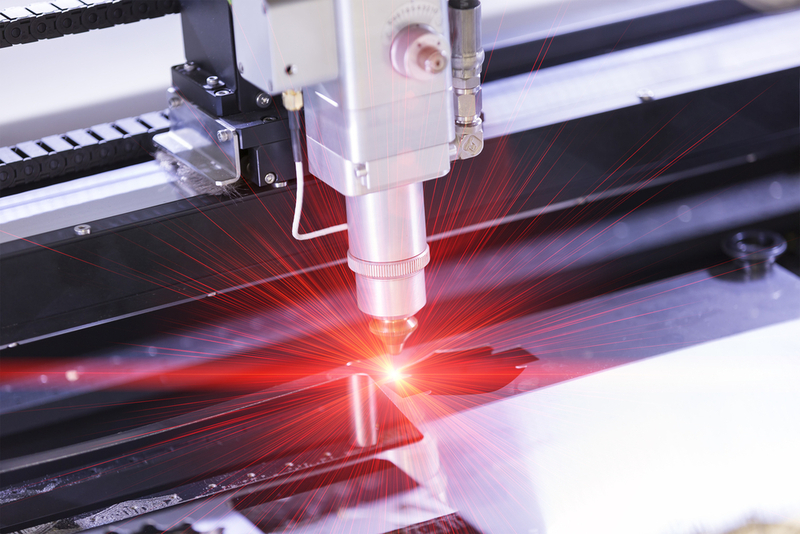 The 1960’s saw the introduction of metal laser cutting for the first time. This cutting method was first used to drill diamond dies with holes. These dies are pieces of material that are used to cut other softer materials. Laser cutting has advanced considerably since then, making it an invaluable part of numerous industrial and manufacturing services. When a high-powered laser is pointed through an optical lens, that laser can cut through just about any material. The computer numerical control, or CNC, is programmed to perform a cutting pattern. This pattern is created in such a way as to ensure the metal surface is not distorted in any way as the cutting commences. The laser cutting process can melt or vaporise away unwanted portions of the material. The reason why so many industries choose laser cutting over other cutting methods is because it produces a very clean and high quality cut. It can precisely cut only what needs to be eliminated without harming or distorting the remaining material. This cutting process can be used to create heavy, mechanical items, such as steel girders, or finer, more intricate items, such as gears and blinds.